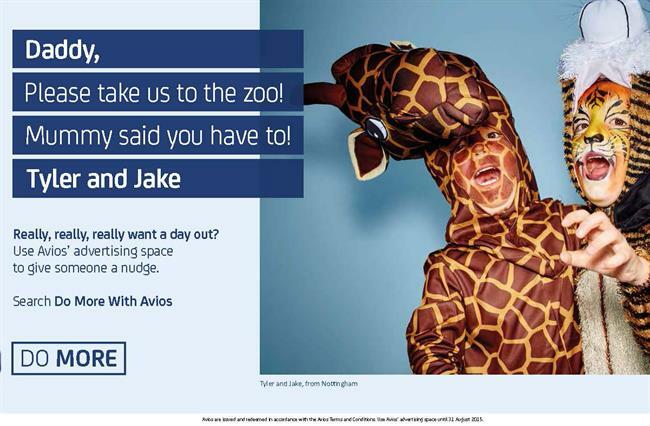 Avios, the travel rewards scheme, has hired Tribal Worldwide to handle customer experience activity after a competitive pitch. It is a new brief and no intermediary was involved. Last year, 101 created a campaign for the brand encouraging people to spend points on their friends. Those who know someone collecting Avios rewards could make tailored ads to appear on their friend’s screen. Earlier in 2015, Avios named Holler (since rebranded as Leo Burnett London) as its first social media agency. The shop beat TMW Unlimited and Amplify in a pitch. Avios is owned by International Airlines Group, which was formed by the 2011 merger of British Airways and Iberia. Tribal and Avios did not respond to Campaign’s request for comment.